If you need some high quality images around a particular theme for your design project, be it web or print, there are dozens of stock photography sites out there that may just have what your looking for. 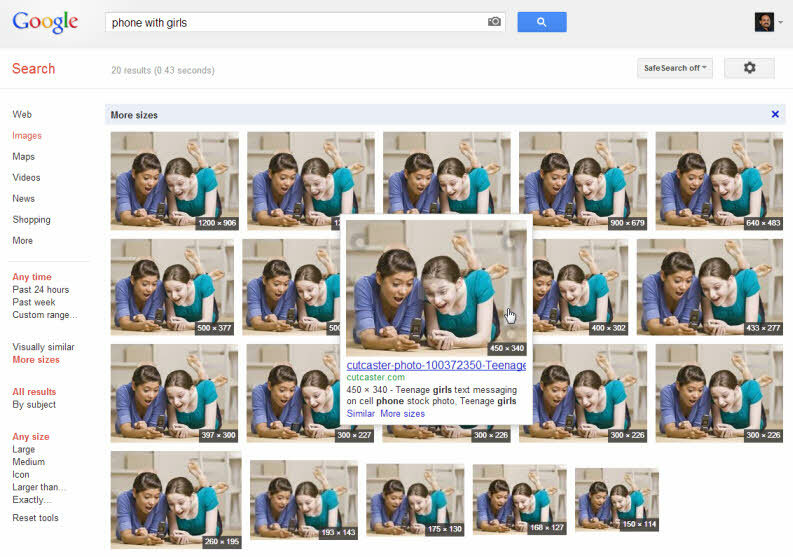 Research stock photos on Google Images before hitting the buy button! Tip 1: Before finalizing any stock photo for your design project, always ensure that the image is not overused. You can easily determine this with the help of Google Images. First download the thumbnail image from the stock photography website and upload it to images.google.com. Hit the Search button and then click “More Sizes.” If you get too many results (as in the screenshot above), the selected graphic is too popular on the web and you may want to pick a different photograph. Tip 2: Some stock photographers may choose to sell their images on multiple websites but the pricing will often vary across these different sites. There aren’t any “functional” price comparison sites for stock photographs but you can use Google again to discover stock websites that offer the best deal on a particular photograph. First copy the extract description of the image from the stock photography website and paste it into Google – put it in quotes for an exact match. 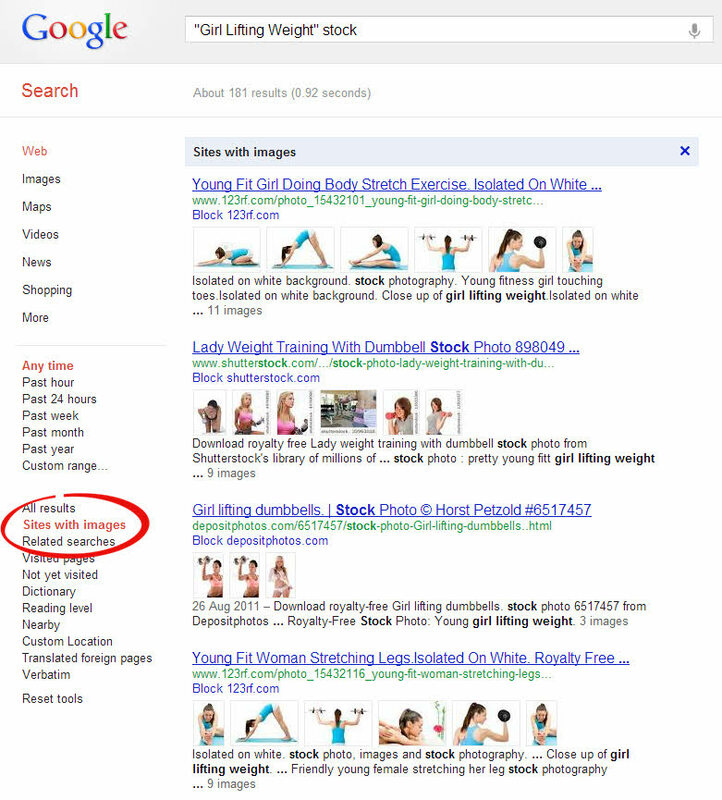 Also, add the word “stock” to your search query to limit your search results to stock photography websites. Now select the “Sites with images” option under “More Search Tools” (see next screenshot) to quickly know if the underlying stock website offers the same image or not. Now you can visit each of these matching sites to see if any of them offer better deals. Find if an image is available on other stock photography websites?